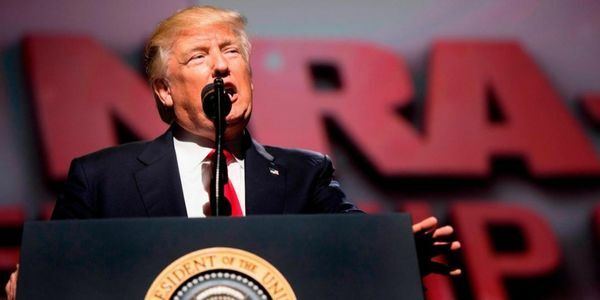 President Trump and Republican Senators want to give the NRA's favorite lawyer, Howard C. Nielson, a lifetime appointment as a federal judge — and the Senate must reject his nomination. There's blood on Nielson's hands, and he has no business sitting on the bench. If anything he should be appearing before a judge, not as one. Nielson used shady legal schemes to stop common sense gun safety for the NRA, blocking preventative safety measures that could have saved lives. Every day, Americans die because of the dangerous policies Nielson has espoused and profited from. Nielson's nomination is a bloody thank-you card to the NRA for the $30 million dollars they spent on his campaign — and we refuse to stand for it. Trump's term is four years, but this court seat would mean a lifetime of Trump's deadly legacy. Add your name to tell the Senate: vote no on Howard C. Nielson's nomination.